Weeks after a late-night telephone call almost caused the break-up of her ruling coalition, President Dilma Rousseff’s agenda remains totally paralyzed, endangering everything from a planned tax reform to Brazil’s preparations to host the 2014 soccer World Cup (Reuters). Governors and senators from the North and the Northeast regions of Brazil presented the Senate’s president, José Sarney (PMDB-AP), a list of demands to increase the participation of both regions in the national income. The demands range from compensations for the end of tax benefits known as “fiscal war” to a fairer way to share the royalties of the pre-salt oil production (Federal Senate). As the debate over distribution of oil revenues continues between state authorities and the federal government, north and northeastern states have requested a deadline to resolve the issue be set for July 13th. Workers’ Party (PT) Senator and former Governor of the State of Piauí, Wellington Dias, has proposed a plan that he claims will satisfy the country, especially those not producing petroleum and positioned to receive large percentages of oil revenue, while at the same time calming oil producing states of the southeast, who fear a possible forced concession of enormous sums derived from oil revenue (The Rio Times). A cyber attack blocked traffic to the website of the Brazilian presidency and two other government sites, authorities said. The self-styled Brazilian branch of the Lulz Security hacking collective claimed responsibility for the attacks (Washington Post). Brazil’s housing plan, Minha Casa, Minha Vida (My Home, My Life) is entering its second phase, and aims to build 2,000,000 homes before 2014 for low income families. “Launching this new phase marks a special moment,” President Dilma Rousseff said. “Building a house is much more than construction work. It is building a dream because a home is the space where relationships are built, children are raised and family ties are established. (A home is) shelter, protection and security” (The Rio Times). President Dilma Rousseff said she is convinced of her Argentine peer Cristina Fernandez de Kirchner re-election victory next October 23. Argentina is Brazil’s main associate in Mercosur and third trade partner (MercoPress). Nick Clegg has said the UK should aim to double the value of exports to Brazil as he seeks to develop trade links on a visit to the country (BBC). Martin Raven – the UK’s former Consul General in Sao Paulo – looks at the significance of his visit and the opportunities for British companies in the fast-expanding economy (BBC). The U.S. is taking its relationship with Brazil for granted, and that may hurt South Florida’s economy. South Florida has long been Brazil’s primary gateway to the U.S. marketplace. During the first 11 months of 2010, Florida’s merchandise trade with Brazil topped $14.4 billion, a 27 percent increase over 2009. Brazilian tourists spend more money in Florida than in any other state. Thirty-five percent of real-estate buyers in downtown Miami are Brazilians (The Miami Herald). Everyone should love Brazilian tourists. They spend more per capita than any other nationality. Worldwide, Brazilian tourists shell out an average of $43.3 million a day, dropping a gigantesco$1.4 billion last April alone, up 83% from the same period last year, according to the Brazil’s Central Bank. In 2010, 1.2 million Brazilians visited the United States, injecting $5.9 billion into the U.S. economy (Time). In May 2010, through intensive diplomatic efforts in Tehran, Turkey and Brazil brokered an agreement for Iran to give up over one ton of its nuclear fuel in exchange for fuel to produce medical isotopes. But the deal, known as the “Tehran Declaration,” was ultimately rejected by the U.S. One year later, the Foundation for Political, Economic, and Social Research (SETA) convened a panel discussion assessing why the deal was ultimately scuttled and what have been the resulting implications (NIACOUNCIL). Brazilian Defence and diplomatic sources consider ‘highly inconvenient’ disclosing documents from the time of the military dictatorship (1964/1985) and from other administrations because they could reveal nuclear secrets and affect relations with Argentina, according to Folha de Sao Paulo (MercoPress). Authorities in the Brazilian Amazon are to create an anti-piracy taskforce following a spate of attacks on riverboats in the northern state of Pará. The rapid-response unit was unveiled by officials after an attack in which 11 heavily armed thieves stormed a passenger boat heading for the state capital, Belém (The Guardian). With convicted criminals allowed multiple appeals and labour regulations that are a standing invitation to sue one’s employers, you might have thought there would be plenty of work to go round for all the lawyers in Brazil. But behind the scenes some of the most powerful ones are agitating to make life harder for the 100 or so foreigners offering legal services in the country. Brazilian lawyers don’t want pesky foreigners poaching their clients (The Economist). Finding a good lawyer in an unfamiliar country is a difficult task. In Brazil it is made all the more difficult by the proliferation of lawyers and law firms available. There are sixty law schools in the State of Rio de Janeiro alone, producing thousands of graduates each year, and a Google search for ‘lawyers in Rio’ brings up an overwhelming number of results. In order to select the right firm, the first thing to know is that in order to practice, lawyers must be licensed by the Ordem dos Advogados do Brasil, or OAB (the Brazilian Bar Association) (The Rio Times). Guess who is creating more jobs this year? The US economy or Brazil’s? It’s probably a no brainer. Despite the fact that Brazil’s economy slowed from 7.5% growth last year to 5.5% in the 12 months ending March 31, the country created 1.17 million new jobs so far this year, the Labor Ministry said. By comparison, the US created 783,000 jobs, according to the Bureau of Labor Statistics (Forbes). Moody’s Investors Service upgraded Brazil’s sovereign credit rating, giving a vote of confidence to the government’s efforts to prevent Latin America’s largest economy from overheating (Reuters). Brazilian industry is losing competitiveness in the international market. There is a growing influx of foreign manufactured goods and the country is at risk of strong deindustrialization. Those warnings were made by specialists who took part in a hearing at the Permanent Subcommittee on Evaluation of National Tax System, bound to the Committee on Economic Affairs (Federal Senate). Any investor thinking in doing business in Brazil needs to have key information regarding: (a) how to enter the market, (b) sources of funding, (c) investment incentives, (d) taxes, (e) labor, and (f) international trade. Lear the tricks from an insider at The Miami Herald. After transforming global agriculture by quintupling their soybean production since 1980, Brazilian farmers are now on the brink of crop breakthroughs in cotton and corn, long dominated by growers in America (Reuters). The merger that created Brasil Foods could harm competition, a member of Brazil’s antitrust regulator said, adding to worries that the world’s biggest poultry exporter could be broken up (Reuters). Brazil’s government will require foreign investors to seek approval if they want to buy more than 5 hectares of land, O Estado de S. Paulo reported (Bloomberg). Brazil’s sugar and ethanol industry needs $80 billion of new investment in the next 10 years to meet global demand, according to industry association Unica (Bloomberg). Rolls-Royce has won a £1.3bn deal to supply engines for 27 Airbus 350 long-haul planes bought by Brazil’s TAM Airlines (BBC). Strong oil prices and the euro zone crisis threaten to cut short the recovery of an increasingly competitive aircraft manufacturing industry, the head of Brazil’s jet builder Embraer told Reuters on the eve of the Paris Air Show. 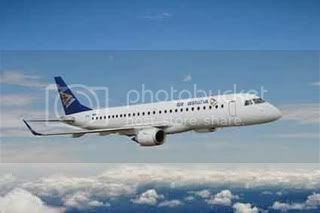 Embraer and Air Astana, the national flag carrier of Kazakhstan, signed a contract for the sale of two EMBRAER 190 jets at the 49th Paris Air Show, in France. The deal also includes options for another two aircraft. The total value of the contract, at list price, is USD 85.6 million, based on January 2011 economic conditions, and could reach USD 171.2 million, if all options are exercised. 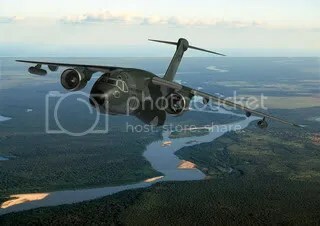 Deliveries are scheduled to begin in the first half of 2012 (Embraer). Embraer and Kenya’s national flag carrier Kenya Airways signed a Letter of Intent, subject to final agreement, for the acquisition of ten EMBRAER 190 jets, at the 49th Paris Air Show. 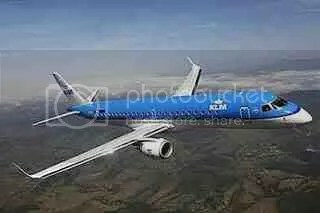 The deal also includes options for another ten aircraft, which could be either the EMBRAER 190 (E190) or the EMBRAER 170 (E170) (Embraer). 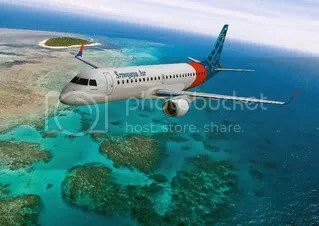 Sriwijaya Air, of Jakarta, Indonesia, has signed an agreement subject to final documentation for the acquisition of 20 EMBRAER 190 jets, with purchase rights for ten more aircraft. The order was also announced at the 49th Paris Air Show. The total value of the deal, at list price, is USD 856 million, based on January 2011 economic conditions, and could reach USD 1.28 billion, if all purchase rights are exercised (Embraer). US carrier JetBlue will use fewer of its 100-seat Embraer E190s than planned. As of the end of March it was flying 46 of them, with orders for 51 more. That would have totaled 97 planes. Now it said it will need no more than 75. Options include selling older ones, selling its spots in line with Embraer, or negotiating with the Brazil-based plane maker to get out of the firm order (Washington Post). Embraer published its 2011-2030 market outlook for commercial aircraft in the 30- to 120-seat segment (Embraer). TAP Manutenção e Engenharia Brazil (TAP M&E Brazil) has been voted for the second consecutive year “as the best in Aviation Maintenance in Brazil” in the ‘Maintenance, Repair and Overhaul (MRO)’ category, by the Avião Revue Award 2011 (TAP). Brazil’s biggest housing lender, Caixa Economica Federal, plans to sell up to $2 billion in mortgage-backed securities this year to institutional investors as part of a plan to modernize the sector and ensure continued growth, the bank’s president said (Reuters). Hotel operator Brazilian Hospitality Group may expand operations in some Latin American countries to gain scale and tap rapid income growth in the region, Chief Executive Peter van Voorst Vader said (Reuters). Less than two weeks after the Australian government released details of its revised mining tax, a report from Brazil suggests a tax of up to 25 per cent is being considered for that nation’s mining industry. Projects owned by Brazilian iron ore giant Vale are among those that would be affected by a ”special participation tax”, according to the Folha de Sao Paulo newspaper (Sydney Morning Herald). 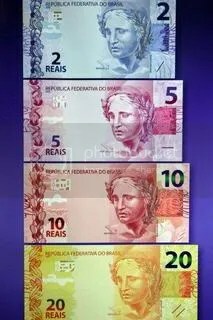 Moody’s Investor Services (Moody’s), the risk rating agency, upgraded Petrobras’ foreign currency debt, and that of subsidiaries backed by Petrobras, from Baa1 to A3 (BW). Petrobras oil and gas corporation needs to control costs in its investment program, Brazil’s Finance minister said, days after he and other board members told the company to revise an update of its 224 billion US dollars spending plan (MercoPress). The showdown between the management of Brazil’s state-controlled oil giant Petrobras and the government should not be ignored as it has huge ramifications for the oil market (Reuters). The Brasil Offshore event saw over 600 companies from around the world set up in Macaé’s Convention Centre from the 14th until the 17th of June. The show consisted of the massive exhibition area where companies from all over the world were positioned, trying to attract interest in their products and services. Along with the Brasil Offshore exhibitors were a number of presentations where industry executives outlined Brazil’s long term plans for developing the exploration and production of the country’s massive Pre-Salt oil reserves (The Rio Times). 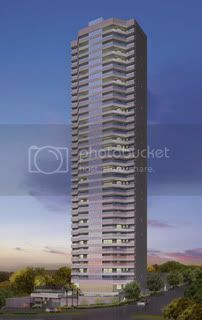 Render of the Real Splendor commercial and residential complex for Aguas Claras, Federal District of Brasilia (Skyscrapercity). Late last month the Brazilian Congress passed a bill that if it becomes law would ease restrictions on rain-forest clearing and make it easier than ever to mow down the Amazon. That same day, 800 miles north of the parliamentary chamber in Brasilia, assailants ambushed and killed a married couple whose opposition to environmental crimes had placed them in the crosshairs of those who most stand to gain from the new legislation (National Geographic). One of Brazil’s last untouched Indian tribes has been spotted in a dense region of the Amazon jungle close to the Peruvian border, the National Indian Foundation (FUNAI) reported. A couple of years ago another tribe was spotted in the same area in an Ethno-Environmental Protected Area along the Envira River (MercoPress). Over forty of Rio’s favelas are to lose their ‘unofficial’ status and be reclassified as official municipal ‘urban communities’ under new city hall minimum quality standards. The plans were announced following studies by the city’s Department of Housing (SMH) and the Institute of Pereira Passos (IPP). The number of favelas in Rio remains a debate though, the federal government department (AFC) reports there are 1,020 favelas, while the city of Rio’s Department of Housing lists 582, as part of the current public policy program ‘Morar Carioca’ (The Rio Times). Many claim that the heart of Rio can be found in the neighborhood of Lapa; a colorful district nestled in between Santa Teresa and Centro, where historical monuments and lively culture mingle with dilapidated architecture. The face of Lapa is set to change, however, as various renovation projects begin to slowly transform the area and breathe new life into old walls (The Rio Times). Astonishingly beautiful yet relatively unknown, Pedra Bonita is a hidden gem, towering above the forest of Tijuca National Park and offering a bird’s eye view across the city. Standing at 2,283 feet, this mountain lies between the districts of São Conrado and Barra da Tijuca with a road leading to the Estrada das Canoas; a famous and favorite take-off point for Hand Gliders. From here a path can be taken through the forest, affording a glimpse at some fantastic natural wildlife, complete with the occasional monkey swinging through the trees (The Rio Times). It is the leading fashion event in one of the most racially diverse nations on Earth, a week-long celebration of Brazilian style, glamour and beauty. But the lack of indigenous and Afro-Brazilian faces on the catwalk at São Paulo fashion week has triggered protests and calls for a 20% quota of black models (The Guardian). In the aftermath of the scandal surrounding Dilma Rousseff’s controversial chief of staff, Antionio Palocci, the Brazilian president’s popularity is at an all-time high. According to polling agency Datafolha in São Paulo, 49 percent gave Rousseff a very positive approval rating, saying she was doing a ‘good’ to ‘excellent’ job (The Rio Times). Brazilian president Dilma Rousseff has exchanged approximation signals with the opposition, beginning to “take distance” from her mentor Lula da Silva and seems closer to opposition Senator and former president Fernando Cardoso (MercoPress). 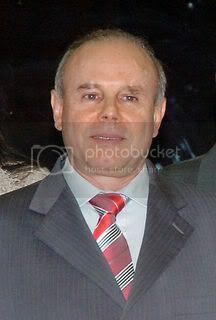 Brazilian Dominican friar Frei Betto, considered one of the promoters of the so called Liberation Theology, attacked the ruling Brazilian Workers Party because instead of fostering links with social movements prefer to be cosy with big business and their leaders have become consultants of business people and bankers (MercoPress). Petrobras, confirmed that former Presidential Chief of Staff Antonio Palocci has resigned his position on the company’s board.Earlier this week, Palocci resigned as chief of staff due to allegations of influence peddling. Palocci was elected in April to Petrobras’ board of directors (FoxBusiness). President Dilma Rousseff, who promised in her campaign to fight discrimination against women, promoted last week two women to key political posts as she seeks to mend relations with her congressional allies in the wake of a scandal that toppled her closest aide (Bloomberg). Brazil’s lower house of Congress passed a bill to speed up public works projects for the 2014 World Cup, aiming to solve delays that have plagued plans to build new stadiums and expand airports. The bill, which has yet to be approved by the Senate, would streamline government tenders for infrastructure projects in the run-up to the FIFA World Cup and the 2016 Olympics in Rio de Janeiro (Reuters). Brazilian Labor Party Chairman Rui Falco said it is very necessary for his party, as a continuous ruling party, to compare notes on governing experiences with the Communist Party of China (CPC) (Xinhua). The international perception about Brazil’s economy has worsened, but the perception about the country’s social conditions has improved, according to a survey released by the Institute of Applied Economic Research (Ipea) (Xinhua). The costs and benefits of Brazil becoming a member of the United Nations Security Council as a permanent member, divided the participants of the 8th panel on Brazilian Foreign Policy, held by the Committee on External Relations and National Defense. Becoming a permanent member might give Brazil a leading role in international relations, as reminded the initiative supporters, but on the other hand the country could be exposed to high political and economic costs, according to the critics of the measure (Federal Senate). The Senate approved a vote of censorship on the statement of the Inter-American Commission on Human Rights of the Organization of American States (OAS), which asks Brazilian authorities to cancel the license and construction of the Belo Monte dam, in Xingu river. The request (RQS 574/11) was made by the Committee on External Relations and National Defense (CRE), chaired by senator Fernando Collor (PTB-AL) (Federal Senate). According to the Financial Times, Brazilian commerce levels with Africa have reached US$25 billion in 2010 and there are now 500 Brazilian companies in operation in the continent (compared to 13 in 1995), many of whom see the region as not only an important export/investment destination but also as ways to use knowledge and expertise in fields such as hydro electricity, energy production and construction (The Citizen). There is a little-noticed but potentially important development in Latin America’s human rights front — Brazil, the biggest country in the region, is becoming a little less supportive of tyrants around the world. Unlike former President Luiz Inácio Lula da Silva — who did a good job at home, but spent much of his time praising foreign tyrants — President Dilma Rousseff is taking small steps to take distance from some of the world’s worst human rights offenders (The Miami Herald). Embraer Defense and Security has selected Liebherr-Aerospace for the advanced environmental and cabin pressure control systems of the KC-390 military transport aircraft. Flight tests of the KC-390, with the new environmental and cabin pressure control systems, are expected to begin in 2014, and the aircraft should go into service at the end of 2015 (Embraer). Brazil’s armed forces are receiving rapid deployment, satellite communications systems from a local subsidiary of Spanish company Indra. Under the order, Indra is delivering light-weight, portable fly-away satellite communications systems that guarantee satellite communications from distant locations (UPI). The remarkable economic growth of emerging markets such Brazil, Russia, India and China, and the fact that Business Schools know little about the management and organizational developments in these countries, creates an opportunity for a forum for knowledge sharing and diffusion on international business related to emerging markets. The Erasmus University of Rotterdam, The Netherlands, has now created the Erasmus Centre for Emerging Markets (ECEM). Academic director is Professor Susana Rodrigues of Brazil (ECEM). As every editor knows, a writer should never inflict too many numbers on the reader. Rankings, dates, figures, indexes and percentages can be off-putting – if not a downright bore. With this in mind, here is a little collection, gleaned recently from the Brazilian press, which may help to decipher a few local realities (The Guardian). Results from Brazil’s 2010 census, released in late April, show that Brazil is now a minority-majority country. The white population dropped below 50% of the total for the first time, to about 48%. But some say it may have been that way all along, but the statistics did not reflect the reality (CNN). A report published earlier this year by AESC (Association of Executive Search Consultants), a follow-up study performed by Daselin Executive Search, and another released last month by Boyden World Corporation, all confirm one fact, that Brazilian executives earn more per year, on average, than their international counterparts. One major reason for this phenomenon, say all three firms: top level executives in Brazil are in extremely high demand (The Rio Times). Brazil’s antitrust regulator postponed a ruling on the merger that created food processor Brasil Foods, opening the way for negotiations on an agreement that would allow the company to continue operating (Reuters). Brazil’s state development bank, BNDES, will likely slash the average size of loans and slow the pace of disbursements this year to help finance smaller- and medium-sized companies, Fitch Ratings said (Reuters). Economists lowered their forecast for Brazil’s benchmark inflation index this year to 6.19 percent from 6.22 percent previously, according to a weekly central bank survey (Reuters). Brazil’s retail sales unexpectedly fell in April for the first time in a year, after higher fuel and food prices prompted consumers to buy less and Latin America’s biggest economy showed more signs of slowing (Bloomberg). KLM has joined the growing list of carriers either launching or increasing services to Rio de Janeiro, with three-times weekly flights starting on November 1. The carrier last served the Brazilian city 12 years ago, but is resuming services ahead of Brazil’s hosting of the FIFA World Cup in 2014, and the 2016 Olympic games in Rio (BusinessTraveller). Embraer faces a tough test at the Paris Air Show, as management seeks to offset worries over delays in the development of new commercial jets by capturing new orders. Analysts expect the team led by Chief Executive Frederico Curado to seal up to $1.5 billion in sales with Air Lease and Republic Airlines, and turn interest from Chinese, Colombian, Venezuelan and Indonesian carriers into firm orders (Reuters). Banco do Brasil, Latin America’s biggest bank by assets, is considering buying lenders in Colombia, Peru and Chile to attract corporate clients and increase business with Brazilian companies in the region. Last month the bank announced the reopening of its branch in Montevideo, Uruguay (MercoPress). A decision by the U.S. Senate in favor of an amendment that would end subsidies for the domestic ethanol industry and eliminate the tariff on imported ethanol is being lauded by the Brazilian Sugarcane Industry Association (UNICA) as a clear demonstration that there is overwhelming support for reforming U.S. ethanol policy. “It is an important step towards developing a global market for clean energy,” said UNICA’s Representative in Washington, Leticia Phillips (Unica). Brazil’s national petroleum agency ANP unveiled detailed plans to tighten government regulation over the ethanol market, giving the sector a first glimpse of how the rules might affect supply and demand for the biofuels (Platts). Petrobras will boost exploration and production investments in its 2011-2015 business plan and delay some refining projects. The total outlays in the new plan will be close to the $224 billion in its 2010-2014 plan. The shift appeases investors who have fretted that the company is putting too much money into downstream projects that offer lower returns than producing oil (Reuters). 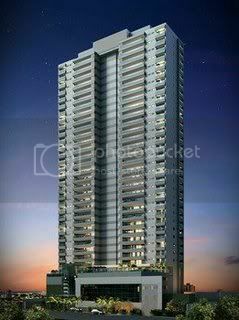 Brazil’s federal government may invest 140 billion reais ($87.5 billion) by 2014 in a second round of its Minha Casa Minha Vida housing program, O Estado de S.Paulo newspaper reported (Bloomberg). Foxconn, the makers of the Apple iPhone and iPad got their wish when president Dilma Rousseff signed a provisional measure exempting tablet manufacturers from 9.25% in social security taxes and reduced the IPI industrial production tax from 15% to 3%. The law was made official on Monday.That measure paves the way for the Taipei listed Foxconn Technology to invest a reported $12 billion in São Paulo state to build Apple products for the local and international markets, especially the Americas. Foxconn has not confirmed investment talks, but government officials have (India-Brazil Chamber). Render of the 35-floor Torre Alicante residential tower for Londrina, PR (Source: Skyscrapercity). With 107 murders per 100,000 people, Maceió is the most violent state capital in Brazil, just as, with 60 murders per 100,000, Alagoas is the country’s most violent state. It is a place of sugar and cattle, where the sugarcane cutters settle scores with fists and knives and the well-connected escape punishment by using contract killers instead (The Economist). A rural worker has been shot dead in Brazil’s Amazon – the sixth murder in a month in the region, amid conflicts over land and logging (BBC). In recent years, palm oil development in Malaysia and Indonesia has devastated tropical forests there. With Brazil on the verge of its own palm oil boom, can sustainable cultivation of the crop actually help save the rainforest, rather than hastening its destruction? Read on at Reuters. Thirty years after he first visited Brazil’s Amazon to observe natural gas seeps, geologist Marcio Mello is back to fulfill what he gleefully calls his “destiny” — to lead a rush for the region’s oil. Mello, chief executive of the recently listed firm HRT, has convinced a range of investors — including one of Russia’s top energy firms — that the vast and remote rain forest is a promising source for oil despite decades of production there and enormous environmental challenges (Reuters). The Brazilian government signed a partnership agreement with IBM, which will enable Brazil to digitalize information on Amazonian biodiversity with the help of the U.S. company (Xinhua). Four years ago the Police Chief and State Security Secretary José Mariano Beltrame was told by businessmen and representatives of public agencies from all spheres of government that the lack of security and presence of armed gangs was impeding social investments in Rio’s favelas. Today, after seventeen favelas have been pacified, this reason for lack of social investment no longer has the same validity and it’s Beltrame’s turn to voice concern (The Rio Times). Santa Teresa, the bohemian neighborhood nestling itself on a series of hills that span from Laranjeiras to Lapa, has always been a day-trip getaway for tourists and locals alike. Now, the vibrant community, going through dramatic rejuvenation as new restaurants and cafés pop-up, is enjoying perhaps unprecedented levels of popularity (The Rio Times). The renovation of the Maracanã stadium, which will be the venue for the 2014 World Cup final, will be concluded until December 2012. The promise was made by the undersecretary of Rio de Janeiro’s governor’s chief of staff, César Mastrangelo, during the public hearing held by the Permanent Subcommittee on the 2014 World Cup and the 2016 Olympic Games (Federal Senate). 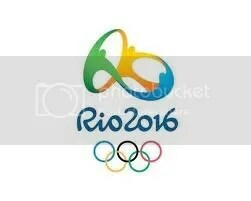 It’s official: golf will be played for the first time since 1904 in the Summer Olympics, right here in Rio for the 2016 Olympic Games. The 2009 decision from the International Olympic Commission (IOC) came much to the delight of golf fans around the world. While the current options for golf courses are limited, Rio’s two eighteen-hole courses are top-rate and have unforgettable views of the Cidade Maravilhosa’s famous morros (hills) (The Rio Times). The ash cloud released by Chilean volcano Puyehue covered some 70 percent of the southern Brazilian state of Rio Grande do Sul, authorities said (Xinhua). Brazil’s Sports Minister Orlando Silva said Odebrecht SA must charge at least 20 percent less than its $668 million estimate to build a Sao Paulo soccer arena that can host the opening game of the 2014 World Cup. Odebrecht, Latin America’s largest engineering and construction company by revenue, said a new 65,000-seat stadium in Sao Paulo would cost 1.07 billion reais ($668 million), Silva said. The stadium should cost about 800 million reais, said Silva (Bloomberg). The Brazilian president’s chief of staff Antonio Palocci has resigned over corruption allegations. Mr Palocci, who ran a political consultancy while serving in the Brazilian Congress, has denied any wrongdoing (BBC). Chief of Staff Palocci’s departure, less than six months into her government, is a setback for Ms Rousseff. By swiftly dumping him she has tried to limit the damage. Her choice of Gleisi Hoffmann, a newly elected senator for the ruling Workers’ Party (PT), as her new chief of staff is a bold, but risky, attempt to recover the political initiative (The Economist). The resignation of the top adviser to President Dilma Rousseff under scandal-clouded circumstances has called into question the strength of her government and her own political judgment just six months after she took over (New York Times). “It is always distressing to fire colleagues. I had to do it several times, but Dilma has the authority to do so and acted at the right timing” former president Lula da Silva said referring to Antonio Palocci’s defenestration. 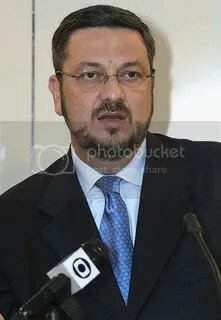 About the newly appointed Palocci’s substitute, Senator Gleisi Hoffmann, Lula da Silva limited to say that “It’s fine; if she was picked by Dilma” (MercoPress). Antonio Palocci will now be taking a seat at Petrobras Administration Council, confirmed Brazil’s oil giant president Sergio Gabrielli (MercoPress). President Dilma Rousseff may lose her second Cabinet member in a week, two government sources told Reuters, as she seeks to improve ties with allies and secure support in Congress. 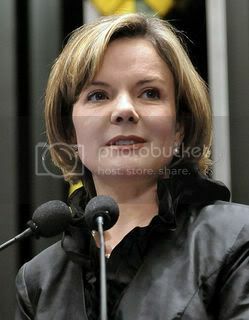 Luiz Sergio, her liaison with Congress, is expected to tender his resignation on Friday (Reuters). The Conversion Bill 13/10, a substitute for the provisional measure (PM) 517/10, which grants fiscal incentive to many sectors of Brazilian economy, was approved by the Senate. Among the articles, two of them establish the Special Regime of Incentives to Nuclear Plants’ Development (Renuclear). According to those rules, the entitled company will be able to buy, in internal market or by means of imports, machines, equipment, new instruments or building material for use or in infrastructure works for energy generation, paying neither tax over industrial products nor tax over imported products (Federal Senate). 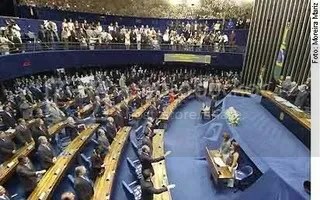 The Senate approved the Agreement on Cross-Border Regions, celebrated by Brazil and Argentina on November 30th 2005. The agreement allows Brazilians and Argentineans who live in cities around the border between the two countries to attend school classes and go to hospitals on both sides. The text also establishes that those who live in cities located on the border will have the right to a “border special card” (Federal Senate). Italy says it will go to the International Court of Justice in The Hague ito contest Brazil’s decision not to extradite an Italian fugitive (BBC). Peruvian president-elect Ollanta Humala was received with “a wide offer of cooperation in all fields” in Brazil, the first stop in his regional-visits round following his Sunday victory (MercoPress). At the meeting at the Planalto Palace, in Brasília Dilma and Venezuela President Chavez signed ten partnership memoranda. The agreements involve a commitment letter to supply naphtha and derivatives, cooperation in technical regulations and standards, and a partnership to set up a diagnostic center for seed production in Venezuela. The two Presidents also established partnership sin social and environmental sustainability in Sucre and Orinoco, in Venezuela, as well as a temporary work extension agreement, advising on the development of production chains, and the terms of scientific cooperation in biotechnology. Chavez and Dilma also signed agreements on the productive integration of machinery and equipment, the monitoring of trade and a partnership to eradicate foot and mouth disease in Venezuela (Portal Brasil). President Dilma Rousseff announced the creation of a national commission and a national organizing committee for a United Nations (UN) Conference: Rio +20. 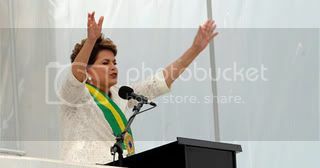 Rousseff said the national commission will work together with different groups at the United Nations Conference on Sustainable Development, which will be held in Rio de Janeiro in June 2012 (Xinhua). The number of Chinese language learners in Brasilia’s Confucius Institute almost doubled from 2010 to 2011, Director of the Institute Chen Jiaying said. About 100 students now study at the institute, up from 60 last year when the Chinese government-sponsored language institute was officially inaugurated in March (Xinhua). 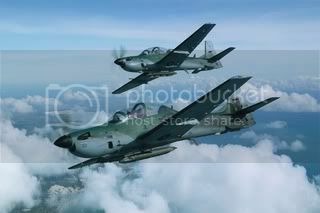 Embraer’s sale of eight of its versatile Super Tucano light attack and advanced training turboprops to the Indonesian Air Force is now in effect. The Company was declared the winner of a bidding competition held by the Indonesian Ministry of Defense, in November 2010. Since then, several administrative phases have been completed, culminating in the finished contract, which includes ground support stations and an integrated logistics package. Deliveries begin in 2012 (Embraer). The Brazilian government launched this week a Strategic Plan for Border Security. The initiative provides for integrated operations between the Armed Forces and federal law enforcement agencies in border areas to prevent and suppress transnational crimes. The plan includes the participation of 11 state governments and 112 municipalities, as well as the support of neighbouring countries (Portal Brasil). Why Brazil’s response to AIDS worked. Read on at CNN. Brazil, Uruguay, Chile and Peru figure among the short list of top ranked developing countries for global retail expansion. In the 10th annual Global Retail Development Index (GRDI), elaborated by global management consulting firm A.T. Kearney, Brazil jumped to first place from number 5 in last year’s study (MercoPress). Brazil’s central bank raised its key interest rate for a fourth straight time as it seeks to rein in persistent inflation, and indicated more rate increases could be on the way soon. Policymakers voted unanimously to raise the so-called Selic rate to 12.25 percent from 12 percent, a move all 21 economists in a Reuters survey expected. The increase in imports during the first quarter of this year could indicate Brazil has begun a de-industrialization process, cautioned Jose Augusto de Castro, president of the country’s Foreign Trade Association, AEB (MercoPress). Brazil is considering cutting a Treasury loan to the state development bank as demand for credit from the lender slows (Bloomberg). The worst thing about Brazilians taxes – which are the heaviest of any country in the hemisphere – is not the amount of tax paid or how government often misuses them, but rather that Brazilians don’t even know how much tax they pay in the first place (Christian Science Monitor). Brazil is poised to overtake the United States for the first time ever, as the world’s leading exporter of chicken, with a third of global trade, according to the latest statistics from FAO released this week (MercoPress). World beef prices look set to stay high long term given the rocketing prices of raising cattle in Brazil, and the lack of an obvious successor as the world’s low-cost producer (MercoPress). A member of Brazil’s antitrust regulator Cade voted against the merger that created food processor Brasil Foods, triggering a sell-off of the company’s shares that prompted the agency to suspend a vote on the ruling (Reuters). Venezuela plans to buy up to 20 commercial planes from Brazilian aircraft maker Embraer, government officials said, signaling a potential boost to ties between the two countries (Reuters). Embraer SA, the world’s fourth- largest planemaker, reiterated that it will wait to see what Boeing Co. does in the single-aisle aircraft market before deciding whether to build a 150-seat plane (Bloomberg). Cut costs, or fade away. That was the challenge facing Brazilian sugarcane ethanol producers as they gathered for the second day of a major industry conference and debated ways to ensure that the biofuel lives up to its enormous hype in the coming decade (Reuters). Brazil’s government unveiled new financing and other incentives for sugar cane ethanol production, vowing to work closely with the private sector to boost production in an industry that has struggled recently despite its immense promise (Reuters). Global energy needs are expected to double in the next three decades, pushing carbon dioxide emissions that contribute to global warming higher by as much as 90%. These alarming figures press global leaders to search for low-carbon, renewable options to supply energy. 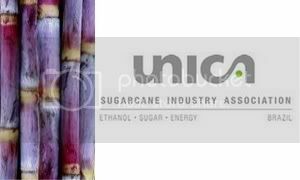 With that in mind, the Brazilian Sugarcane Industry Association (UNICA) launched a new global website – SugarCane.org– to spread the word about clean solutions from sugarcane. ArcelorMittal, the world’s biggest steelmaker, may build a $1 billion steel laminate plant at its Tubarao steel mill in Brazil, Benjamin Baptista Filho, the head of the company’s Brazil operations (Bloomberg). The Brasil Offshore oil industry event to be held between June 14th and 17th in Macaé is the biggest of its kind in the Southern hemisphere. The event is expected to draw over 50,000 visitors to the burgeoning oil town situated two hours north of Rio. The last ten years have seen this biannual show out-grow the city’s enormous convention center, and now overflows into a sprawling temporary tent city (The Rio Times). The Petrobras Board of Directors has given the go-ahead for the bidding process to award contracts for up to 21 Offshore Drilling Rigs to be built in Brazil, and to meet the Company’s exploratory and production development needs (BW). OGX Petróleo e Gás, the Brazilian oil and gas company responsible for the largest private-sector exploratory campaign in Brazil, announce details of the Company’s business plan for the Campos and Parnaíba discoveries (EBX). Brazilian oil and gas start-up HRT, which plans to begin production this year, hopes to achieve output of 1 million barrels per day of oil and gas by 2020, according to Chief Executive Marcio Mello (Reuters). State-controlled oil companies Venezuela’s PDVSA and Brazil’s Petrobras have agreed to finance a joint refinery project. The two companies entered a partnership to build the 230,000 barrel-per-day Abreu e Lima refinery in Pernambuco state in northeast Brazil but PDVSA has delayed putting up its 40 percent stake in the project, which is expected to begin operating in 2013 and produce mainly diesel (Reuters). Petrobras announces two major oil discoveries and a gas discovery in ultradeep Hadrian area waters, in the Keathley Canyon concession, in the U.S. portion of the Gulf of Mexico. Recoverable volumes are estimated in excess of 700 million barrels of oil equivalent in the Keathley Canyon blocks, among the biggest discoveries made in the Gulf of Mexico in the last decade (BW). The line-up of vessels waiting to load sugar at Brazil’s main ports in the Center South, the country’s main producing region, climbed by 1 ship, data from shipping agency Williams Servicos Maritimos Ltda. showed (Bloomberg). Brazilian industrial magnate Eike Batista is considering buying a stake in the Belo Monte dam, a hydroelectric project in the Amazon region that has sparked heavy criticism from environmentalists, two sources told Reuter. 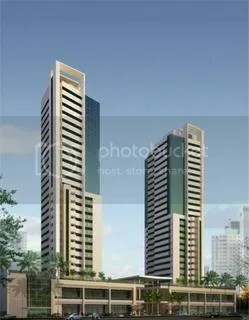 Render of the 35-story residential complex Torre Breeze Umarizal for Belem, Para state (Skyscrapercity). An elite police force arrived in northern Brazil to help local law enforcement combat violence aimed at anti-logging and land rights activists in the Amazon rain forest (Washington Post). The Brazilian tribe that played by our rules, and lost: The Kayapó people’s battle to save their land from flooding as the Bel Monte dam is built follows a pattern across the Americas (The Guardian). Thoughts of Rio usually conjure images of beautiful beaches, sultry samba steps and tropical fruits, but ask anyone during rush hour and the picture is sure to change. People commuting to and from work, overcrowded public transport, and a maze of honking cars dominate the city, transforming the Cidade Maravilhosa into a living nightmare. Yet however hard it might be to navigate, there are a few ways to ensure an easier commute (The Rio Times). Mountain retreats, tropical forests, pristine islands, and quaint cobblestone towns: these are just some of the many inviting locations in Rio de Janeiro state. The best part, though, is they are all only a few hours drive from the state capital, so it is easy to combine both a city and off-the-beaten-track experience. Although winter in Brazil is much cooler than the summer, there is still plenty of sunshine and plenty to explore, particularly off-season when things are quieter and prices are lower (The Rio Times). The Brazilian Symphony Orchestra’s 2011 season seemed full of promise, with a star-studded guest line-up featuring Joshua Bell, Sarah Chang and Kurt Masur. But after three dozen musicians were fired, the Rio de Janeiro-based orchestra found itself embroiled in a controversy that has the classical music world in an uproar (BBC). Rio de Janeiro has made “remarkable progress” in its preparations to host the 2016 Olympic Games, the International Olympic Committee said after a three-day inspection of the Brazilian city. The IOC praised the pace of infrastructure work and a government effort to speed up plans to expand the country’s overcrowded airports in time for the FIFA World Cup (Reuters). The first EMU manufactured for Rio de Janeiro of Brazil was launched at Changchun Railway Vehicles Co., Ltd, CNR CRC. A total of 30 electric multiple unit produced by CNR CRC will serve during the 2014 FIFA World Cup and 2016 Olympic Games (Xinhua). Four decades after Washington declared its “war on drugs” and began to spread the doctrine south of the U.S. border, the government of the Brazilian state of Rio de Janeiro decided to shift away from that approach towards a strategy focused on community policing. The new focus has already produced results in some of the city’s favelas or shanty towns, which were long off-limits to outsiders, including police (IPS). Brazilian utility Cesp, run by the state of Sao Paulo, will either boost investments in generation or sell the controlling stake in the firm. That decision will depend on what the federal government does in regard to power concessions set to expire in 2015 that could either be annulled or bid out again, a situation that has created uncertainty for Brazil’s utilities (Reuters). The political wounding of Antonio Palocci, the president’s right-hand man, comes at an awkward time, when the battle to cool the economy has only just begun (The Economist). The Senate intends to debate for four months the new Forest Code bill, approved by the House of Representatives. To do so, the government leader senator Romero Jucá (PMDB-RR), intends to forward to president Dilma Rousseff a request to extend the Decree 7.029/2009, which orders the punishment of rural producers responsible for illegal deforestation as of June 11, 2011. The decree’s extension is to give time to senators debate and amend the bill (Senado Federal). President Dilma Rousseff launched an ambitious plan to eliminate dire poverty in Brazilwithin four years by lifting more than 16 million people from conditions of “misery.” The “Brazil Without Misery” program is the signature policy of the former leftist guerrilla’s first term, her advisers said, fulfilling one of the key promises she made in her campaign for the presidency last year (Reuters). The key political risks to watch in Brazil according to Reuters can be found here. Argentine Industry Minister, Debora Giorgi, and her Brazilian counterpart Fernando Pimentel met in Brasilia in order to discuss a possible solution for the trade conflict currently affecting Brazil and Argentina (Mercopress). French Finance Minister Christine Lagarde pledged to push reforms to give Brazil and other emerging economies more influence at the International Monetary Fund as she kicked off a worldwide tour on Monday to win support for her candidacy to lead the global lender (Reuters). The Chinese government is lobbying countries in Africa to reject a proposal by Brazil, India, Germany and Japan to expand the United Nations Security Council, Valor Economico newspaper reported (Bloomberg). Strengthening security on Brazilian borders and, at the same time, promoting populations’ development in the area: this is the challenge to be faced by the country, according to representatives of the Brazilian Armed Forces, the Federal Police and the Brazilian Intelligence Agency (Abin) heard in a debate at the Permanent Subcommittee on the Amazon and the Border-Strip, subdue to the Committee on External Relations and National Defense (Senado Federal). Defense Minister Nelson Jobim extended his gratitude to Brazilian soldiers participating UN peacekeeping missions overseas. Jobim made the remarks in a message to celebrate the ninth International Day of UN Peacekeepers on May 29. The minister is now attending a meeting of defense chiefs from the Union of South American Nations (Unasur) in Argentina (Xinhua).